eelko is the amalgamation of musical explorations and obsessions gathered throughout Christopher Carchedi’s life. Choosing to live on the darker yet emotive side of music, eelko’s ghastly expressions have caught national and international attention. 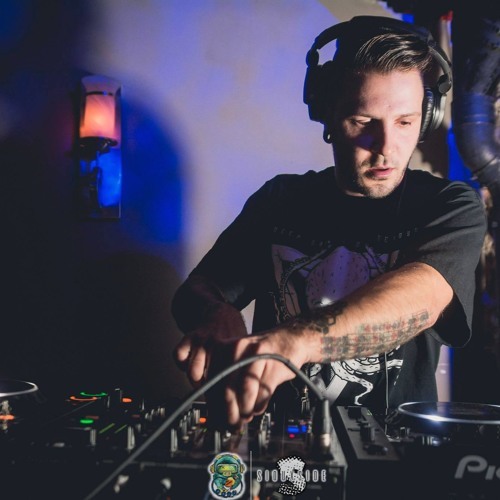 Most notably, he has gotten support from New Zealand's dubstep heavy hitters, TRUTH, with his tracks "Betrayal's Climax" and "Violent Separation" released by their label Deep, Dark, and Dangerous as part of their community producer collaboration project. He also collaborated on the song “One Big Loop” with Australian glitch producer, Mr. Bill, and UK sound design master, Mus Sck (aka Valance Drakes), which was released as part of Bill’s “The Collaborative Endeavours: A Glitch Opera.” This album was voted UK Glitch Hop best album of 2013. His growing catalogue of originally produced songs, remixes, and DJ sets have earned a number of features with outlets such as Denver's Sub.mission, Lost In Sound, The Dankles, as well as support slots for with acclaimed acts such as Biome, TRUTH, Leon Switch, J:Kenzo, Skrillex, Mr. Bill, Amon Tobin, and KiloWatts.